Another experiment in product branding and packaging, this time designed by Katarzyna Wieteska, brings to the forefront the beauty of natural cosmetics ingredients. A collection that includes products such as soap, face cream and fragrance is housed in boxes that flaunt a geometric construction and a modern appeal. 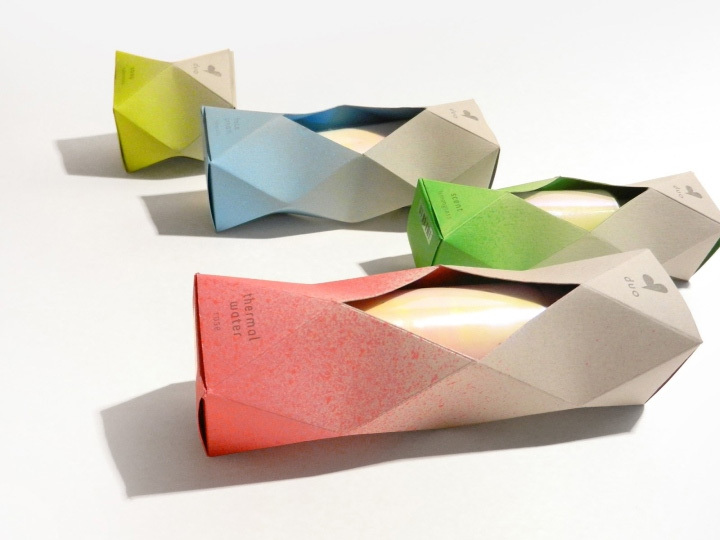 The design steps away from the unimaginative angles of the typical cosmetics box. Instead, it brings together a multitude of planes and angles into one shape. 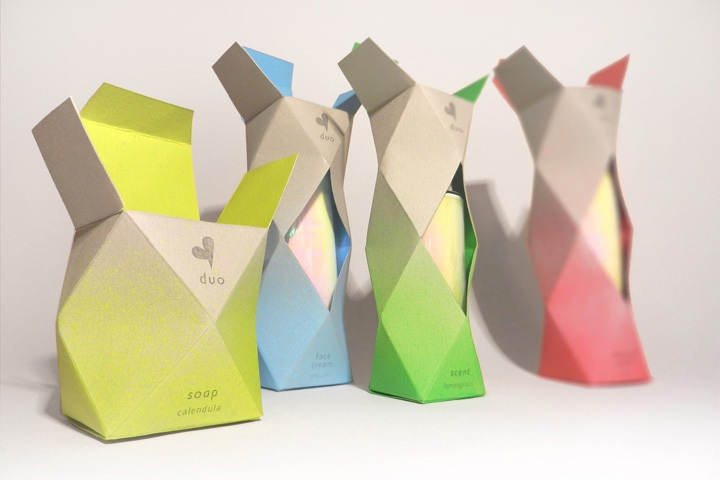 However, the box remains simple, a choice that is related to the idea of simple, organic ingredients and products. 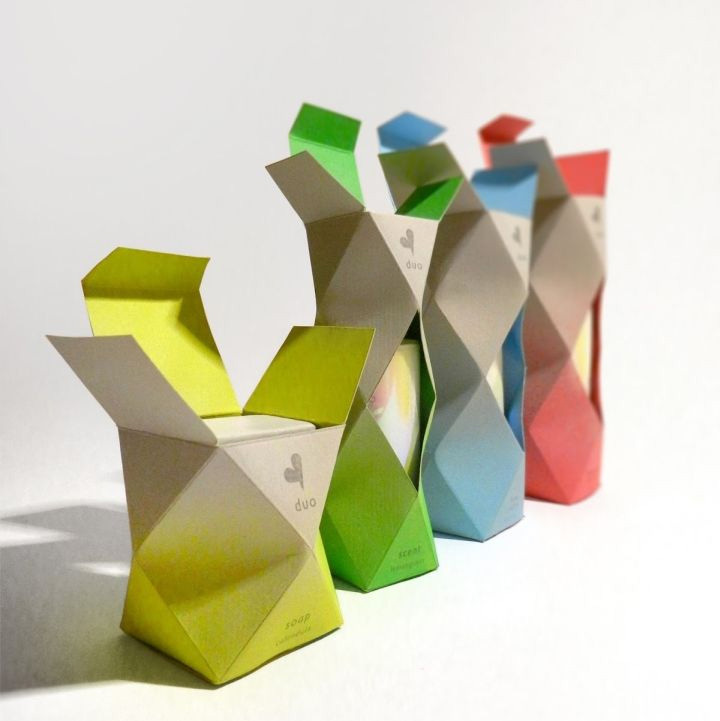 Each paper box is defined by one main color placed against a neutral grey background. The color corresponds to the main ingredient in each product: yellow for the calendula soap, blue for the phacelia face cream, green for the lemongrass scent and pink for the rose thermal water. This two-color design allows consumers to easily identify their desired product. It also relates the visuals to fragrance, an important element in cosmetics. 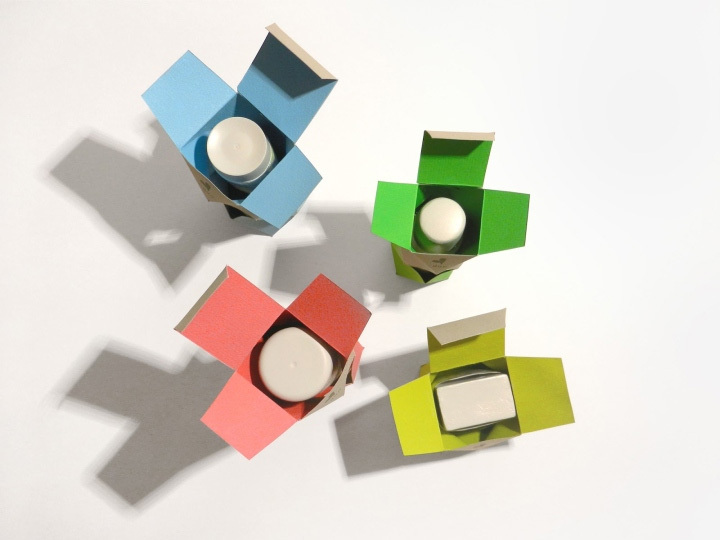 Evoking the scent of natural ingredients, the box already creates a closer product-consumer interaction. The bright main color takes over the interior of the box, this time undiluted by neutrals. It is as if, as soon as the consumer opens the box and gets closer to the product, the fragrance gains consistency and strength. 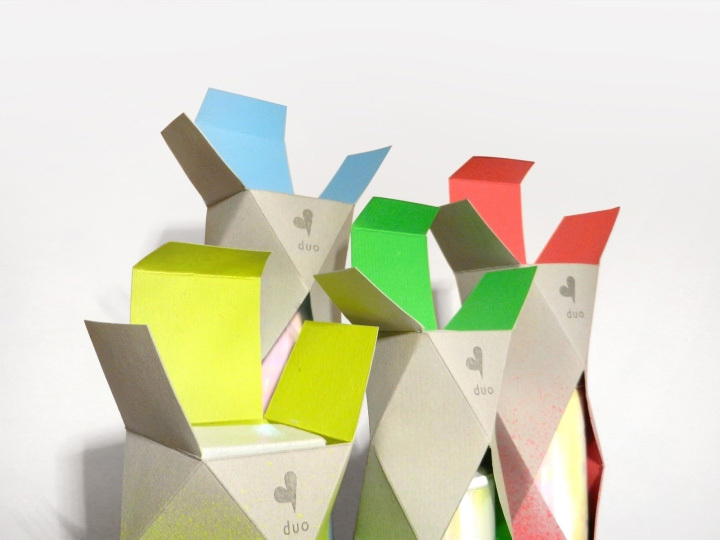 As part of the product branding, a simple “Duo” logo suggests the pairing of two natural ingredient into a simple product. 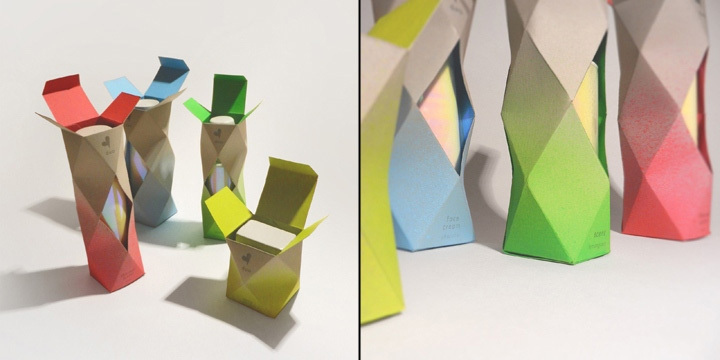 A cutout construction allows the consumer to peek inside the box without opening it. 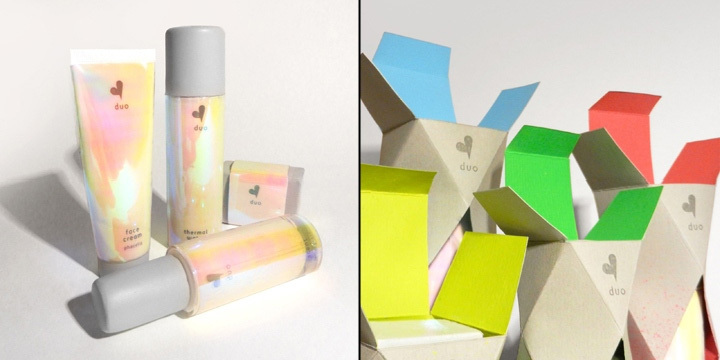 Inside the package, the product containers bring together calming pastel colors. There is nothing harsh in their design, which is a subtle suggestion for the delicate composition of natural ingredients. The artistic brush effect counteracts the strict geometry of the outside box, for a beautiful visual balance.